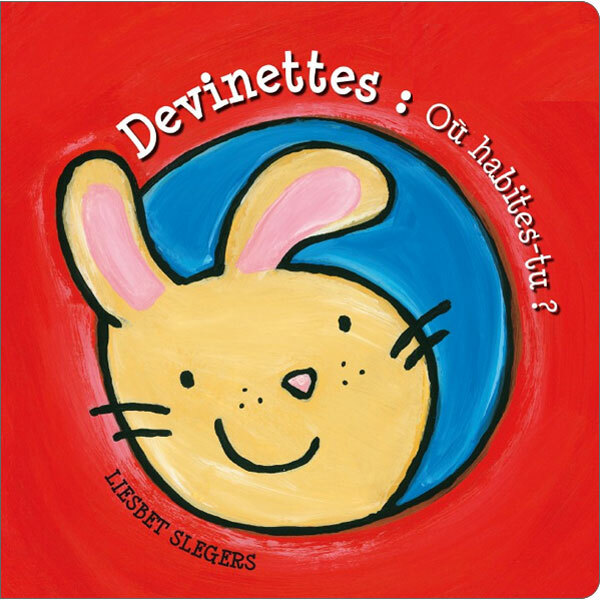 Devinettes: Où habites-tu? 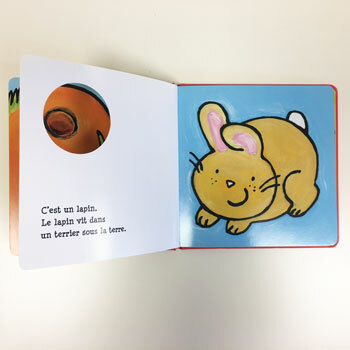 is a simple peep-through book in French that is perfect for toddlers and young children. 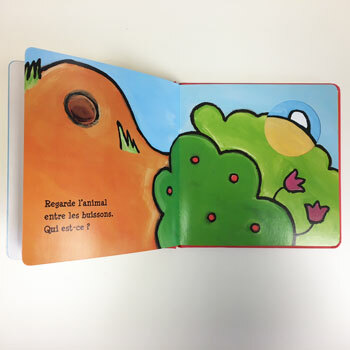 Each double-page asks a question about an animal hiding, with a peep-hole to the next page to show a small part of the animal. Children can guess which animal is hiding, then turn the page to find out if they're correct! This book is good for teaching prepositions (behind, between, on) as well as the names of animals and their habitats. This is a durable book with laminated pages. It is written entirely in French as it is aimed at native French speakers.